What makes this question so difficult to answer is that no matter what proof you look at, you can find just as relevant of a counterpoint that completely ruins your original argument. In fact, I’ve had this article topic sitting around in my list of “things I should write” for awhile now and have thus far let it flounder. However, I figure it’s about time that we just get together everything we know about the subject, throw it on the table, and see if we can figure it out together. The obvious answer, of course, is that there is some sort of mystical bond between the Sailor Soldiers and their respective celestial bodies, giving them a sort of mystical bond that unites the spirit of the planet/asteroid/star together with the Sailor Soldier that fights for them. In the case of Sailor Lead Crow, for example, Sailor Galaxia killed Sailor Coronis and destroyed the planet of the same name and gave the Sailor Crystal to her. 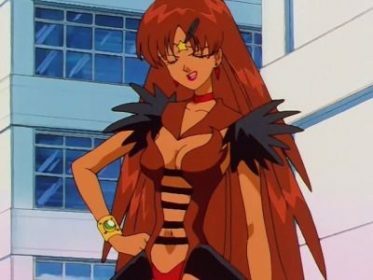 In exchange for Sailor Lead Crow assisting her in killing the (Inner and Outer) Sailor Senshi, she would be reborn as a proper Sailor Soldier and given her own planet — ostensibly called Lead Crow. Read also: Are Sailor Lethe and Sailor Mnemosyne Sisters? The Sailor Starlights throw a wrench into this, however, since I can’t exactly imagine anyone actually naming celestial objects Star Fighter, Star Healer, or Star Maker, but who am I to judge? If I’m expected to believe anyone has a forehead that big, then I guess I can believe a planet Star Maker exists. Unfortunately, things get a little uglier once when we focus our attention back to our own solar system. You see, though technically not Sailor Soldiers in their own right, Phobos and Deimos were only given their names after leaving the planet Coronis. The manga is mum on the rest of the details surrounding this, unfortunately, but it’s pretty clear that these two young warriors were only given their names once being chosen by the Princess of Mars to come to her planet. Though we don’t know exactly when the Silver Millennium took place, I would hazard a guess that it was probably sometime before 1930, a mere 62 years before the events of Sailor Moon started. While it’s certainly possible that the Moon Kingdom was alive and well up through the 1930s, this seems pretty unlikely to me. 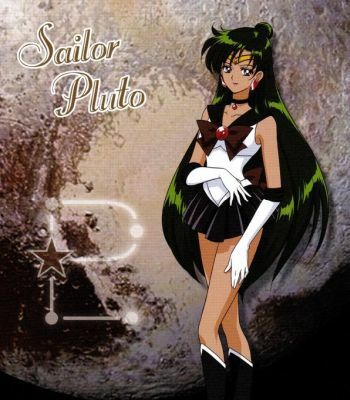 Despite the fact that the planet dwarf planet now known as Pluto wasn’t officially given a name until 1930,5 the Sailor Soldier of space and time still seems to be working under this name. And not only does she go by that name but she apparently had been going by that name since before she started guarding the Door of Space and Time way back during the fall of the Moon Kingdom. So where does that leave us? Are we stuck just giving an emphatic shrug and saying “beats me,” or can we actually try to make some sense of this? Though I hate to resort to this answer, this is probably simply a case of “it’s just a show, you should really just relax.” Ms. Takeuchi simply wanted to name the Sailor Soldiers after the planets and didn’t actually bother to think it through on how the logistics of that would work. All hope is not lost, however. There is at least one possible explanation that could make this all work: the names of the planets are simply a convenience for us, the readers/viewers, and for the reincarnated Sailor Soldiers. If Phobos and Deimos were renamed, did the same happen to Luna and Artemis when they came to the Moon? As much as Japan would like to think otherwise, it’s highly unlikely that Japanese would serve as the language of the universe. We could thus make a reasonable argument that all of the scenes involving non-Japanese characters (including Helios, Sailor Galaxia, and the other members of the Shadow Galactica) were taking place in another language, but are written in Japanese for our sake. Similarly, you could argue that the characters in Sailor Moon (when speaking Japanese or otherwise) simply refer to the planets by names we’re familiar with out of convenience and also due to the fact that these are the names that the reincarnated Sailor Soldiers are familiar with, having grown up throughout their human lives using those names. It’s a stretch, of course, but it’s the best I can do. If you have any other ideas on how we could make some sense of this, though, I’d love to hear them! ← Is Usagi Just a Copy of Minako from Codename: Sailor V? I don’t know, while I doubt Naoko Takeuchi thought it through, your explanation does make perfect sense. I have a feeling is Sailor Moon was more tightly plotted (or if it was written in the west where we obsess over such details) your explanation would come close. That of maybe since Pluto exists in every time she just looked ahead and then told Queen Serenity what we humans on Earth were naming planets. Quite the topic you’ve picked. I think you’re on to something there with your last suggestion. The sailor soldiers use the same names that they remember using in the past, names that were given to them when they became soldiers in the past. 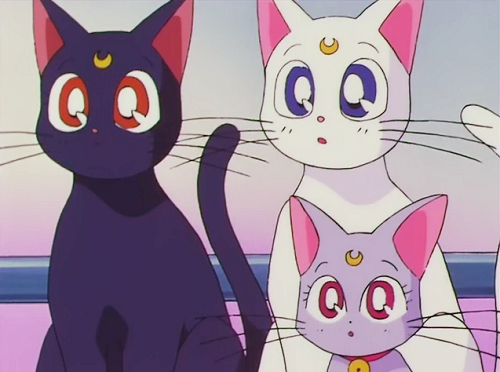 Luna and Artemis use them because those are the names they used in the past. I think that part is that simple. For how long that the fourth planet and its soldier have been called Mars is unknown, but it predates the Silver Millennium period. The name is probably used to create a connection between the soldier and the planet to allow power to flow between the two. The name may be irrelevant as long as the soldier knows what planet they’re communicating with. Who named the planet Mars? Also unknown, Maybe Aphrodite named the second planet Venus, eventually being reincarnated as the planet’s soldier. Perhaps Aphrodite wasn’t a goddess as much as she was the planet’s soul/spirit itself. In that manner, a sailor soldier could been seen as an incarnation. The last episode has the three remaining soliders call upon their elemental and planet to transform their star tambos into weapons. Interestingly, they call upon their planet using the Japanese name, invoking Suisei, Kaisei, and Mokusei vs Mercury, Mars, and Jupiter. In other words, Phobos and Deimos were already named as such, and were then granted stars (Naoko writes “star” rather than moon) that were either named after them or coincidentally already had the same names as they. Regarding Chibi Moon and Sailor Kakyu, you are absolutely correct. There is not always a 100% match between the Sailor Crystal and their guardian star/planet/moon. The same applies to Tuxedo Mask and the Earth. However, that isn’t really related to this argument, unless I’m missing something? It doesn’t explain how Sailor Venus became known as Sailor Venus. I’m not sure where you got this passage, but I disagree with the translation. For starters, the “star” thing is not unique to Naoko, but rather a common thing in Japanese. For example, the “Planet” in Final Fantasy VII was always referred to as 星 (star) when it is clearly referring to the planet. Unfortunately, Japanese is not always as clear as we’d like it to be, so celestial objects sometimes (often) get clumped together under the same kanji. Second, logically that doesn’t make sense. The implication in that case, if you read later on the same page, is that the Princess of Mars came to Coronis and picked out Phobos and Deimos to come serve under her as guardians… and just by chance she also happened to have moons that went by exactly the same name? That’s a pretty amazing coincidence. The Japanese is clear that these two moons were named Phobos and Deimos, and it implies that these women (Phobos and Deimos) derive their names from the moons. I mentioned Chibi Moon and Kakyu because I felt like you were making a sort of “chicken or the egg” argument, which I think is beside the point. 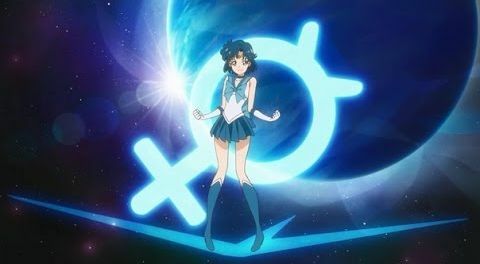 I don’t think it’s really a matter of whether or not the Sailors are named for their heavenly bodies or vice versa, I think the Sailor names are just their personal names + “Sailor.” There are exceptions (such as Sailor Moon/Sailor Cosmos), but for the most part it seems to be the case. 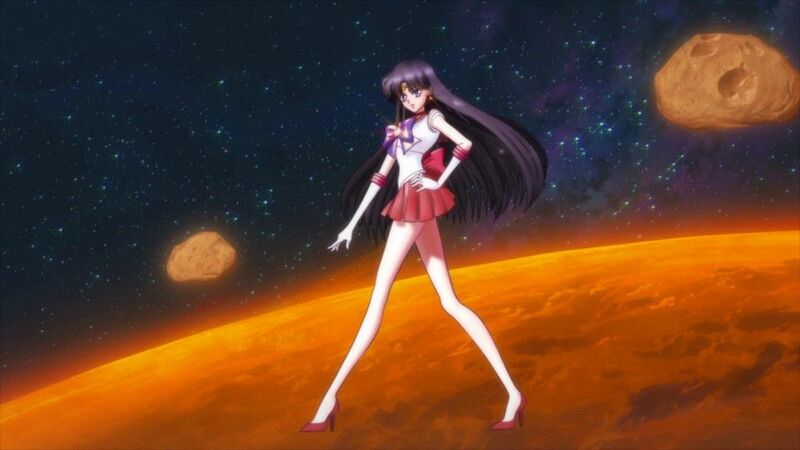 For instance: In her past life as a princess, Rei’s name was “Mars” and so she became “Sailor Mars,” the guardian of the planet “Kasei” (from the Japanese perspective). As for Sailor Chibi Moon, it’s quite simple. She’s called that only in the past/present and in the future she’s Sailor Moon. As for Sailor Kakyu, i personally believe her powers got triggered after the Starlights’ death. Idk for Lead Crow, but for me it seems like Iron Mouse, Aluminium Siren and Tin Nyanko choose their names by themselves. About Phobos and Deimos’ names, i believe their re-naming ceremony happened on Coronis.